The RE 60 will be called the ‘Qute’. 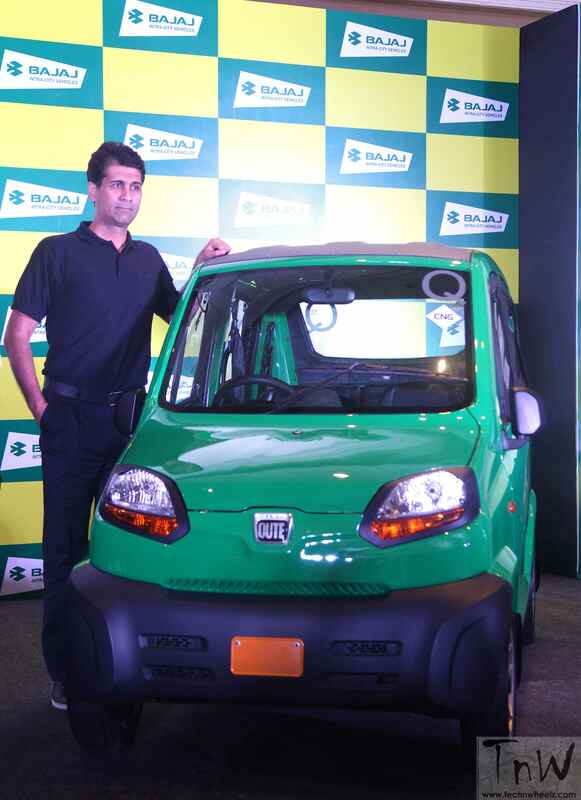 Bajaj Auto announced the plans to export its Qute Quadricycle to countries across Asia, Africa, Latin America and Europe. Production of Bajaj Qute has already commenced and the company is awaiting for a verdict from the Supreme Court to launch this vehicle in India. Only then we can have a word on its pricing. The Qute is powered by a water-cooled 216cc 4-stroke, single-cylinder DTSi, 4-valve engine that returns a fuel efficiency of 36 kmpl. The engine produces 20 BHP of power and is mated to a 4-speed manual transmission. The Qute can reach a top speed of 70 km/hr . It has low carbon emission of 66 gm/km. While India awaits the Supreme Court verdict, the eco-friendly, next gen Quadricycle makes its way to countries across Asia, Africa, Latin America and Europe. New Delhi, September 25, 2015: Bajaj Auto – the world’s largest manufacturer of three-wheelers, today announced plans to export its Quadricycle, known as RE60. During research the RE 60 evoked responses from consumers like ‘Cute’ and ‘beautiful’ in Asia and ‘Bonita’ in Latin America. The RE 60 is now branded as ‘Qute’. 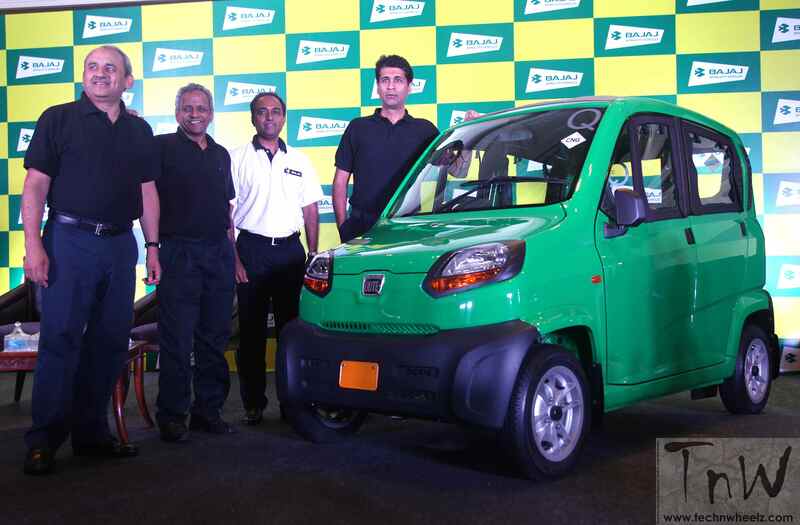 Production for Bajaj Qute has already commenced and export to about 16 countries is planned. The Qute is powered by an all new water-cooled DTSi, 4-valve engine that has an impressive fuel efficiency of 36 kmpl and a max speed of 70km per hour. It is easy to drive, compact, lightweight and has an extremely low carbon emission of 66 gm/km. Qute has been designed in response to evolving requirements of low cost, last mile public transport across the world by optimizing size, weight, cost and speed. Qute is the first Indian made Quadricycle to meet the stringent European Quadricycle norms and get the European WVTA (Whole Vehicle Type Approval) certification awarded by RDW Netherlands. Today, Bajaj Auto is all set to export Qute to over 16 countries across Asia, Africa, Latin America and Europe.